A perfect way to store and protect your CD jewel cases. 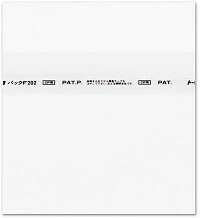 These sleeves include an adhesive strip at the top, forming a perfect seal. No dust. No scratches. Your collection will look great. Excellent product. They fit over my Reference Recordings CDs that come with cardboard covers.